You will find well located Posadas in Buzios for a lower price, especially off season. Buzios offers many hotel options that will fit your wallet, especially after Carnival and during the weekdays when the rates tend to drop. If you want a superb vacation at a lower price, budget hotels or small posadas are the right pick for you. Most of the budget options in Buzios are well placed, some with good views and the majority within walking distance to one of the t twenty beaches in the resort town. Budget hotels come without all the amenities but with A/C, private bathroom and an impressive Brazilian breakfast buffet. 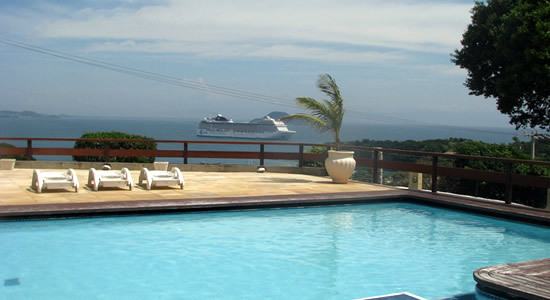 Douring your stay in Buzios you can get in touch with nature. Around Buzios you can find the Atlantic Forest, a kind of forest that only exists in South America with a high number of flora and fauna species living in.